Great for HORSE, fitness training and more. 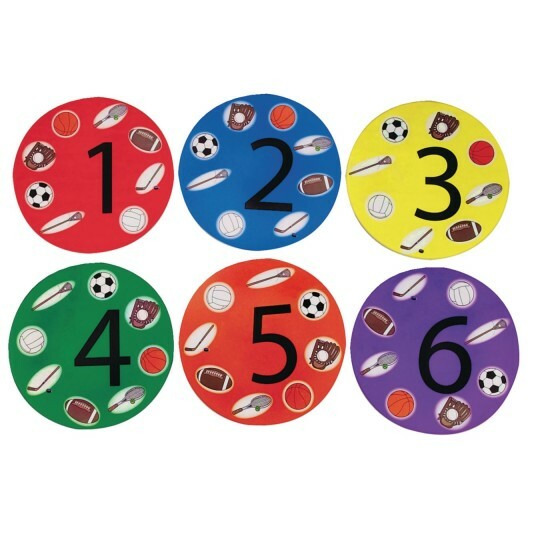 Set of 6 spots, 1 each of 6 different colors. Not designed to be stepped on. 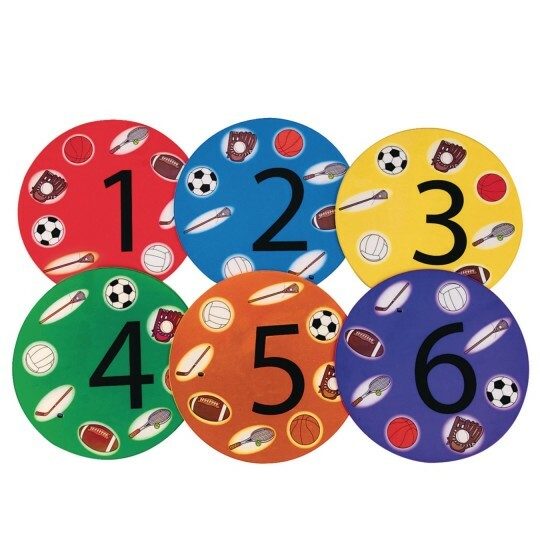 Bright 9"-diameter spot markers feature fun sports-themed graphics is great for games of HORSE, fitness training and other PE activities. Set of 6 spots, 1 each of 6 different colors, numbered 1 to 6. PVC surface bonded to a foam backing is compatible with most write-on wipe-off markers. 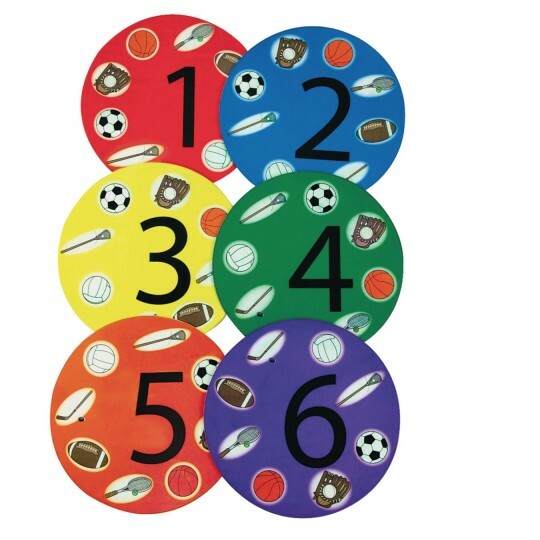 Note: These spot markers are designed primarily as a visual aid. They are not designed for use as a base or a marker that will be continuously stepped on. Not all brands of write-on, wipe-off markers will wipe off completely, if required, use water or a mild cleaner like Windex® to remove markers completely. The top plastic cover fell off of some of these the first time I used them. They are okay for the price paid they still function but ripped the first time using them. Merchant response: Thank you for the recent product review you submitted. Our customer's feedback on their experiences with our products, and their suggestions, are vital for us as well as all prospective customers. Reviews, both positive and negative, are sent to the appropriate product managers.